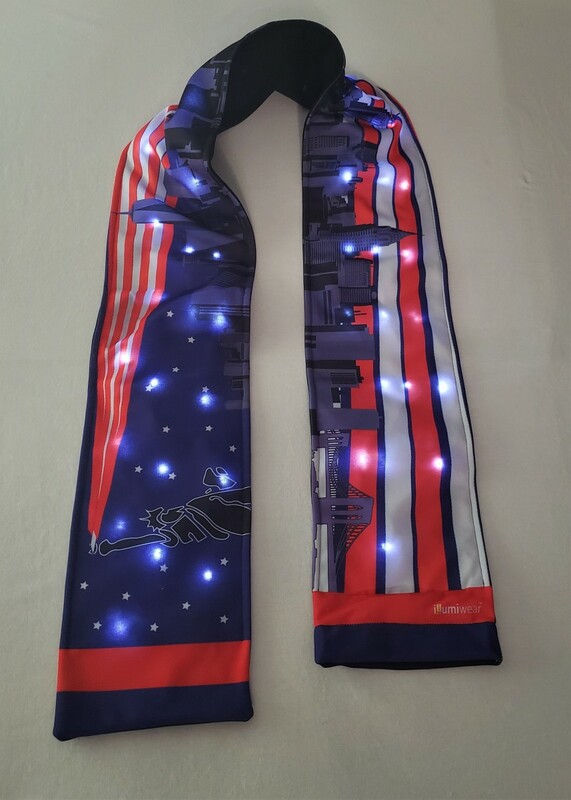 Illumiwear is the first company to make the Light Up Scarf™ – where fashion and technology collide with design and function – and offer our Holiday, Special Occasion and School Spirit collections at the market. Proudly designed, printed, sewn and packaged in the USA! These scarves are functional and designed to stand on their own as a great scarf when the lights are off. And when the lights are turned on, the come alive. We currently have three sizes, Adult 72 inches long and 8 inches wide; Sports 59 inches long and 7 inches wide; and Junior 54 inches long and 7 inches wide. Prices are $29 Adult and $25 Sport and Junior.